All joking aside, this is quite the accomplishment in terms of video conferencing. As the lengthy but quite descriptive title suggests, features such as life size representations of remote subjects along with perspective tracking give an incredible sense reality when communicating and conferencing with this system in place. The system was set up using 10, that's right, 10 Kinect cameras along with two 65 inch LCD panel displays. 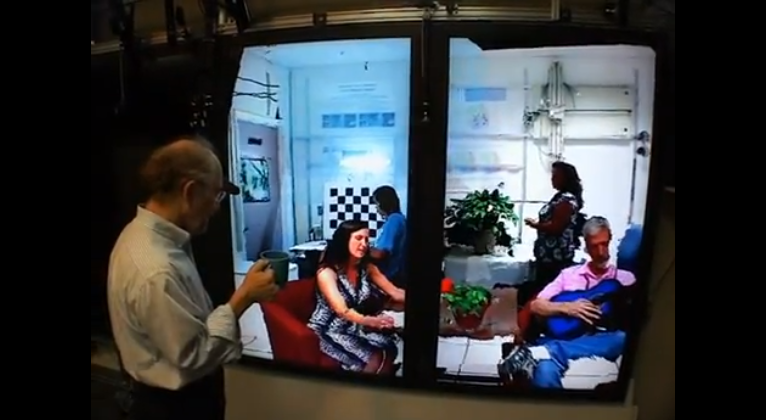 Eye tracking is employed to control the changing perspective of the subject. Check out the video for more!